Here are the 10 Tips that have already encouraged a number of aspiring writers to put pen to paper. Perhaps they will help you do the same. 10 Tips ... is not a course on how to write a book. There are plenty of excellent books out there that do just that, but during the course of writing and publishing his own books, the author was asked on numerous occasions how he managed to achieve his long-felt desire to become a writer. It soon became obvious to him there were budding writers who might benefit from what he had learned on the road to publication. Not only the benefits, but the pitfalls he encountered along the way. So here they are, the 10 Tips that have already encouraged a number of aspiring writers to put pen to paper. Perhaps they will help you do the same. Once I started to read ’10 Tips’ I could not put it down until I had finished reading it. I especially enjoyed reading the short story ‘The Boy On The Bus’ – the twist at the end was a brilliant touch. A great deal of ground is covered in your book with plenty of warnings and encouragements to keep the budding writer going. I’ll keep you updated on my own progress. I found How I Wrote My First Book clear, concise and readable. As a ‘How To’ book it seems to touch all bases. Obviously you need to enthuse and excite potential writers with possibilities, and in the main you do that. I think interweaving your own experience into the writing and publishing paradigm works well, demonstrating the difficulties and possibilities a budding writer can expect to face. Your own research overlaps well and you use sign posts to good effect in directing the reader around the treacherous waters of writing and publishing. Everyone has a story to tell and the vast majority can write, but good writing is a craft that has to be learned appreciated and practised if it is to be effective. 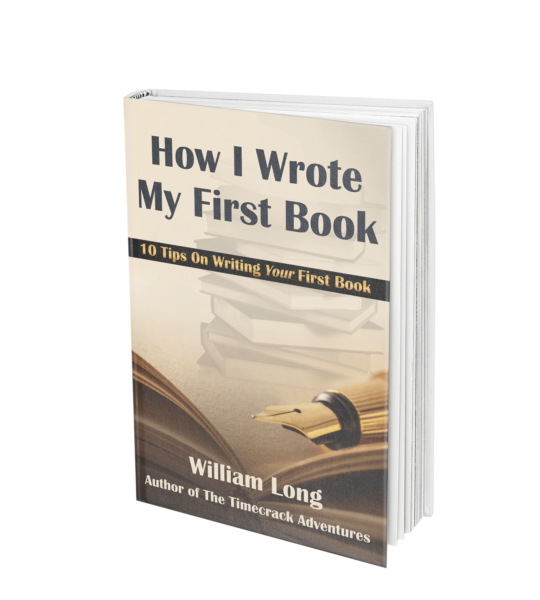 William Long’s guidance is sound and practical advice for aspiring writers but more importantly it helps build confidence and perseverance – the two qualities needed most when you first pick up the pen or tap on the keyboard. Very useful advice and sources that will help first time authors stay on the right track to publication.